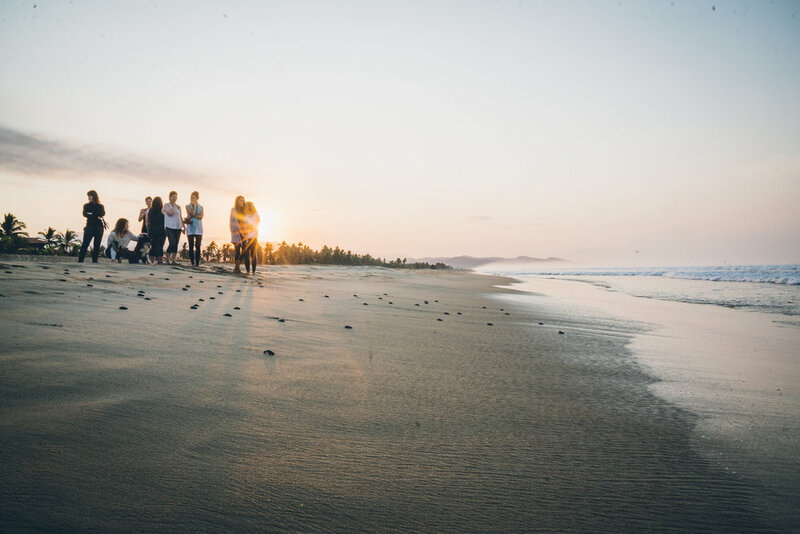 Tropical Transformation is an all-inclusive 7 night immersion that integrates holistic health and yoga throughout a weeklong series of hands on workshops, classes and tailored cultural experiences. Expect to explore your sense of self, create healthy intentions, and cultivate self practices to encourage healthy and sustainable lifestyle shifts. This unique program fuses alignment based Vinyasa Flow yoga with personalised wellness coaching sessions, group workshops, traditional healing ceremonies, and a ‘community service give-back’ initiative. 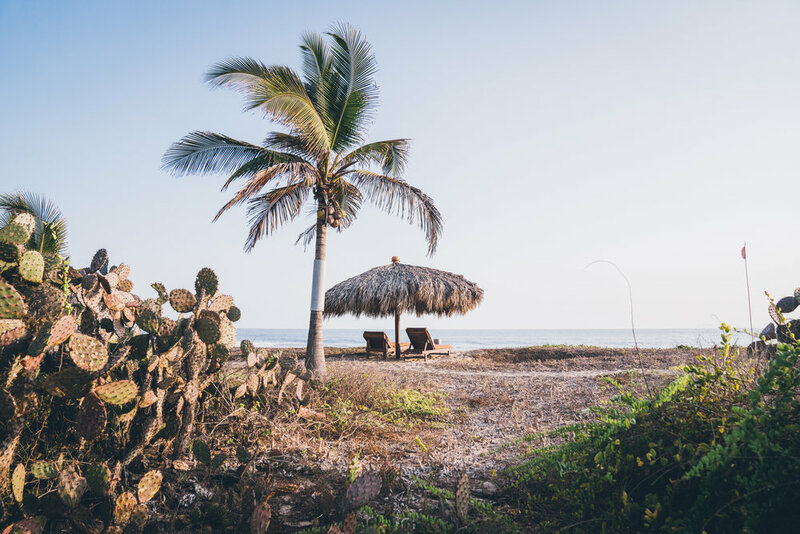 You will enjoy a like-minded and supportive community, homemade vegetarian/vegan foods, rejuvenating yoga, and the natural, potent energy of Mexico's sparkling Pacific waters and the nearby majestic Sierra Madre Mountains. Expect to return home feeling physically and mentally detoxed with a genuine understanding of true wellness and growth, that will continue to influence you long after you leave the tropics. Juluchuca is located on the Western Coast of Mexico. It’s one of the few areas that encourage mindful tourism to preserve local communities and rugged landscapes. 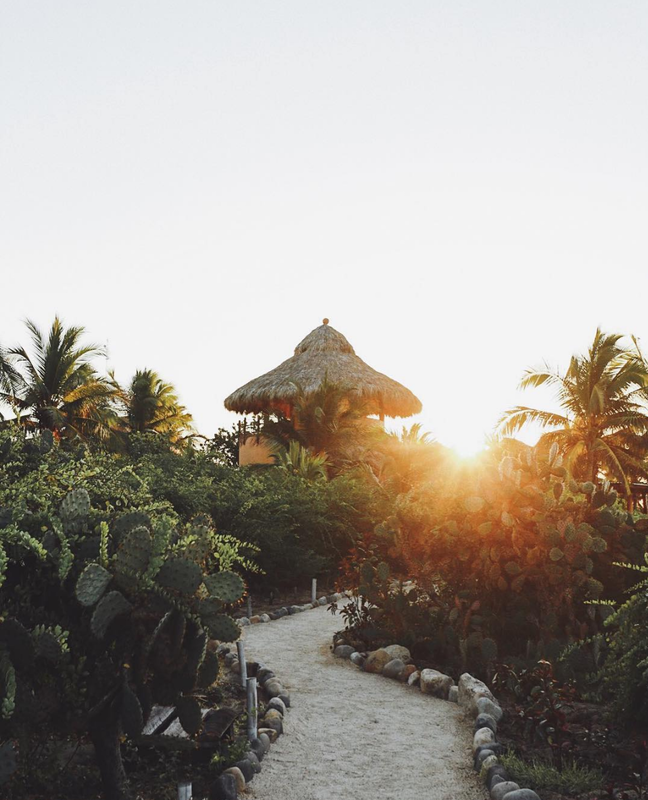 Playa Viva is a sustainable boutique hotel that combines simple elegance with natural beauty, and maintains a commitment to improving the environment and the local community. Hidden amongst clean waters of the Pacific with the dramatic Sierra Madre mountain range in the distance, Playa Viva lies on a mile of pristine and private beach. The property’s nearly 200 acres includes an estuary, an Aztec archeological site, turtle sanctuary, and a coastal forest and mangrove ecosystem which supports an array of stunning wildlife. Playa Viva is easily accessible, yet feels worlds away upon arrival, providing a true immersion into the wonders of nature. The surrounding landscape, luxurious design, and core values of Playa Viva fuse together to provide a safe and inspiring space to rejuvinate, relax and restore. Sunshine, inspiration, wellness and a like-minded community! Welcome Gift from Lauren and Tory. For most of us, we come home from a trip feeling rejuvenated and inspired to make a change only to find that inspiration fade...this was certainly not the case with Tropical Transformation. Over a month has passed and I smile each day as I think back on what was truly a transformative adventure. But a retreat ‍‍‍such as this is only as great as its leaders. Tory and Lauren are not simply organizers of a trip, they are teachers, mentors and motivators. The care, attention, professionalism and dedication shown was above and beyond. It was the connectivity and friendship that blossomed that made this not simply a trip, but an amazing journey. It was the exact medicine I was looking for, infusing me with strength, empowerment and energy I was searching for. From the exceptional yoga classes to the thought provoking workshops and sessions, to the camaraderie within the group - one thing was better than the next! I've never take a yoga class before and I left with a love and appreciation. I never thought much about caring for my health and left with a deeper understanding of the importance of both physical and mental health, along with nuggets of wisdom that I can easily apply into my everyday life. Prior to this trip I was feeling tired, beat and as though I lost a certain spirit or energy I always had. Through Tory and Lauren's unwavering kindness and dedication, this retreat helped me to reconnect and tap back into a strength I had inside of me all along. All adventures must come to an end, but it's the truly transformative ones that leave you feeling as though it's just the beginning. I'M READY FOR TRANSFORMATION IN MY BODY, MIND AND HEART! Expect an email with more details on this immersion and how to register within 72 hours.